Nickel City Con Exclusive Variant Cover Reveal! Nickel City Con is excited to announce the Exclusive Variant Cover for this year! Only 1,000 made – $7.00 per issue! 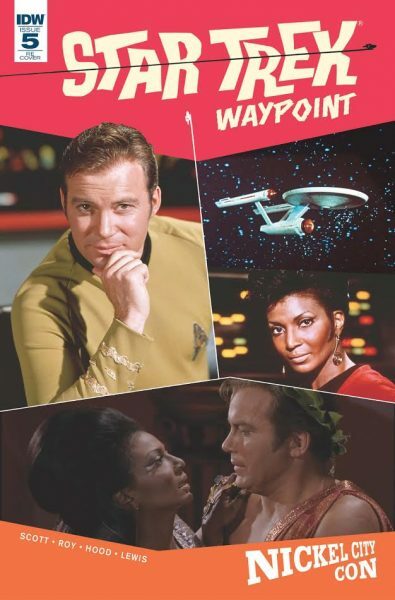 This will make a great item to have signed by William Shatner, Nichelle Nichols…or both! Anyone who purchases a Celebrity VIP Experience Package will automatically receive one. Where can I buy this?? They will be available at the show…May 19th – 21st! You can purchase a William Shatner VIP Experience right through the website or when you arrive at the show! Name: Your name is required. Email (will not be published): An email address is required.